The LOWEdown | The Official Blog of Casey Lowe. : How the West was Fun! 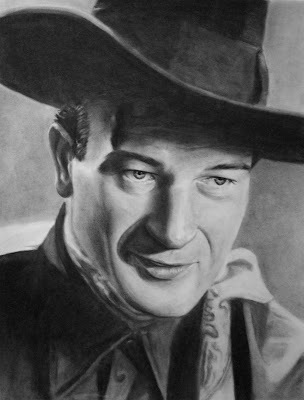 It's John Wayne. Again, I get horrible lighting in my student housing apartment, so I had to do some adjustments in Photoshop and I think the quality is lost. You get the idea, though.